Cetaphil® Moisturizing Lotion is a non-comedogenic and non-greasy moisturizer that I use because it mild and non-irritating to my sensitive skin. This gentle moisturizer is the darling of every dermatologist I have ever been to see for my acne-prone skin. I like that it really doesn't clog my pore or contain any fragrance. There are no lanolins or parabens to irritate sensitive skin. 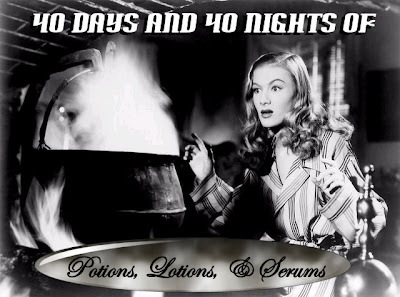 I've always felt the cleanser leaves a little bit of a residue, but I have had success with the moisturizing lotion. When I began using Tazorac (which is similar to Retin-A and Differin), my sensitive skin required this lotion. I applied a thin coat of Cetaphil Moisturizing Lotion, wait 5 minutes, and then apply the Tazorac over areas of my cheeks and chin where I have acne scaring that I am trying to refine. In the beginning, I could only use the Tazorac twice a week and I always used the Cetaphil with it. Now, I can use Tazorac nightly without the moisturizer underneath because I have been using the retinoid for about a year and my skin has built up a tolerance. I still get peeling and flaking, but I use my Shiseido Pureness moisturizer that compliments my other skincare regime. If you are considering using a retinoids for fine lines, wrinkles, or scaring, try using the Cetaphil "buffer" when you are starting out. I hope that you will have good results, too. 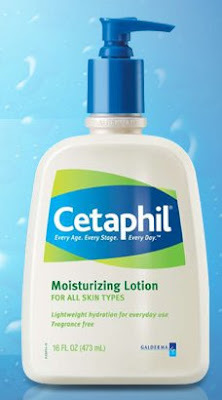 Cetaphil® Moisturizing Lotion is available without a prescription at pharmacy and drug stores for around $16. Disclaimer: Product purchased by reviewer based on dermatologist recommendation. I absolutely agree! Cetaphil is a great sensitive lotion. As someone with incredibly dry, very acne prone skin, this stuff always makes me feel yummy and normal. I've just started using Differin for a skin condition, and have been wondering whether or not I would be able to use a moisturizer with it in the evenings, because it is EXTREMELY drying! Thanks for the tip, girls; this could be a life saver!! !